For those in search of new natural stone claddings for interior or exterior surfaces at home or business, the options seem limitless. Not only are the varieties, colors, textures, shapes, and weights variable, but the sources of stone are different. Understanding how natural stone veneers are processed may help to clarify some of the variables that can be inherent in these products. To begin with, stone naturally has more defects, Some may be more moisture absorbent or the cutting process might be less precise. These defects can affect the selling price and value of the final products. Variation in the thickness of a veneer is often a result of processors trying to minimize waste. Quality processors aiming to slice uniform one-inch pieces will slice from the “top” and “bottom” of a typical 4” slab. This method yields a consistent thickness each time. Material left over from the center is crushed or used for other purposes. Cut-rate processors will try to extract one more piece from the slab and end up with a veneer piece that may be one-inch thick on one end and ¼” on the other. This material is then sold at a lower price but there will be undesirable variability and unevenness. Nature does not design stone to be as totally uniform as a fabricated product might be. The real beauty of natural stone are derived from the multitude of color and pattern variations from the chemical reactions to soils and water, natural components such as embedded sea creatures, and the heat, weight and magnitude of the forces developing above. The same wondrous processes create defects or cavities that can be undesirable in a veneer product. Much like lumber, a stack of natural stone might contain holes or unwanted defects. Quality manufacturers discard these defective products or use them in other products. Stone veneer, whether limestone, marble, travertine, slate, or ledgestone of various types has inherent inconsistencies in color and pattern. However, quality suppliers sort through their raw material to group the shades and textures to create a consistent appearance in the finished façade. Cheaper and lower quality suppliers often market a wide variance in a single veneer lot that can lead to some unpleasant surprises in the finished surface. PetraSlate Stone & Tile sells a world-class group of natural stone veneers and tiles. To view thier extensive range of PetraSlate’s attractive options, visit their website for inspiration for upcoming projects. 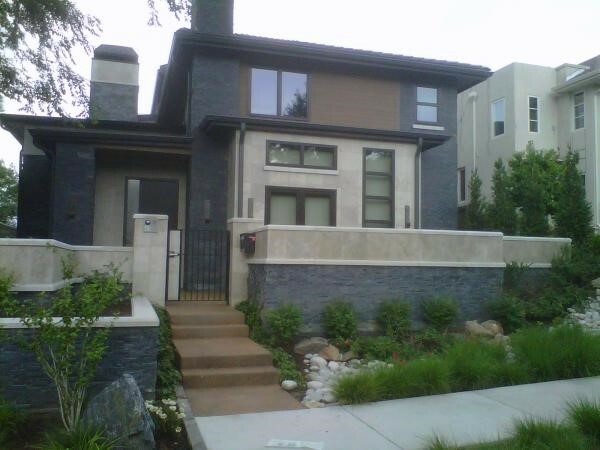 For more information regarding stone veneer quality, call PetraSlate at 303.280.9595.